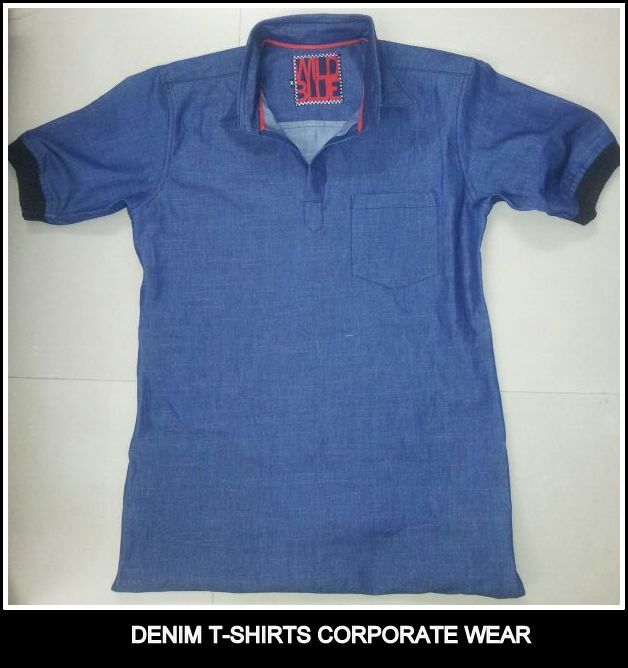 Denim T shirts – The new trend in Corporate uniforms !! Wearing a denim T shirt to office can not only be trendy but also would look professional. The denim Tshirts are made out of Thin Denim fabrics procured from best of the mills in India. The Tshirts are made in all the sizes based on your requirement. These Denim Tshirts are customized with the company embroidery and also with little bit of change in pattern as per your need. We take only bulk orders for Denim Tshirts. RSM Uniforms is a call away. We are happy to help you. Call us on 9176634635 or on our landline number 044 25386319.